Inspired by Britain's latest crop of gold medals I found it irresistable to scan an old winter image taken high on Dava moor of an unamed lochan deep frozen with a liberal coating of hoar frost. 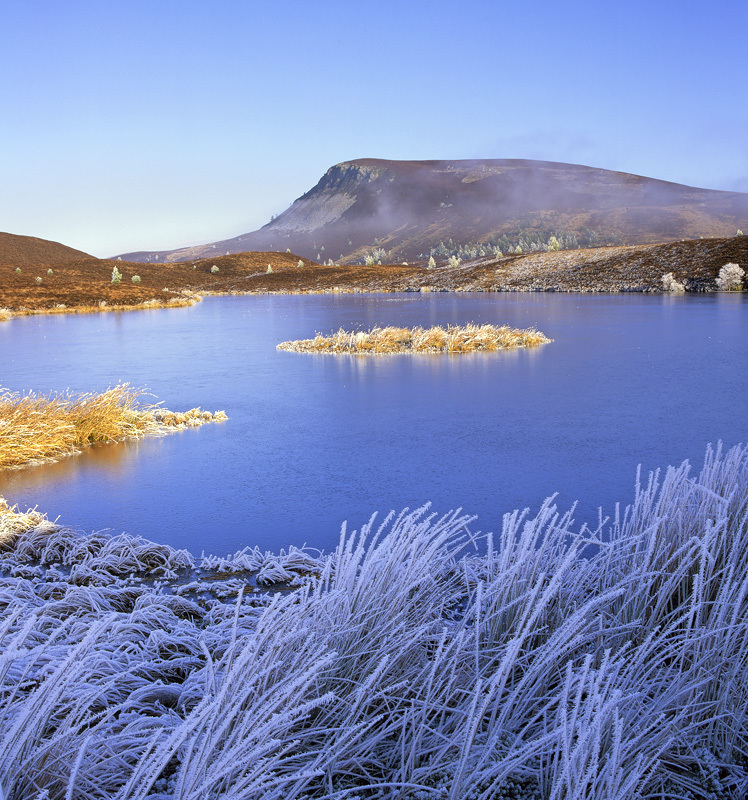 Right in the centre of the lochan is a small flat golden medallion of sunlit frosted grass complementing the reflected blue sky on the ice covered surface. As the sun began to warm up the ice so it expanded and began to groan under the tremendous pressure finally culminating in a shotgun like explosion to subsequently reveal a huge crack traversing it's frozen surface.